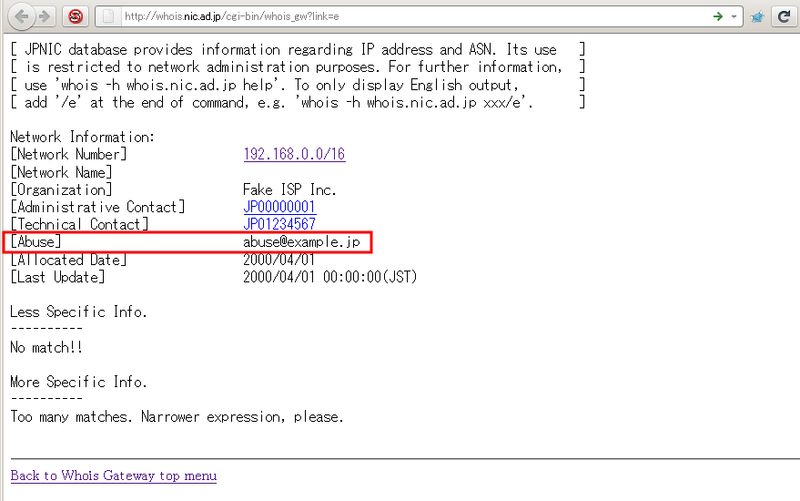 We, Japan Network Information Center (JPNIC), are NOT an ISP and are an organization that allocates and manages IP addresses and AS numbers in Japan. 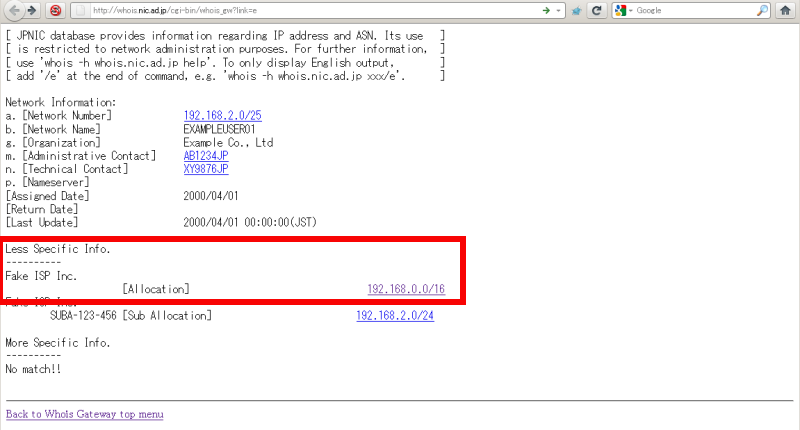 Because of our nature as an IP address management organization in Japan, there are cases to be misunderstood as a source of network abuse or unsolicited bulk email (UBE, UCE or spam). Since our role is just allocating/assigning IP addresses, please inquire the ISP for the user of the IP address that you are looking for. You can confirm the abuse contact information by our Whois retrieval service. 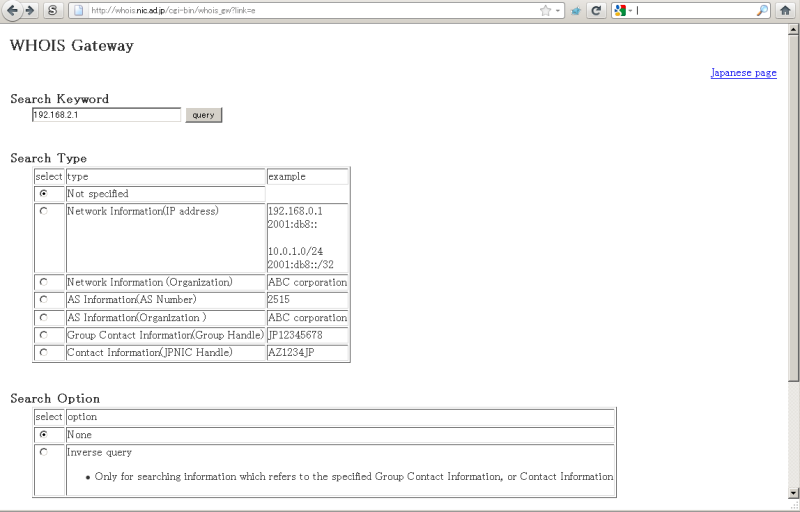 then click the larger block (=smaller number after the slash) of IP addresses under the "Less Specific Info." section. Then you'll find the abuse contact of upstream provider. If there is no abuse contact in the address range, please use Administrative or Technical contact instead. Note: Please check "English page" link add /e at the end of the URI to avoid the result in Japanese.